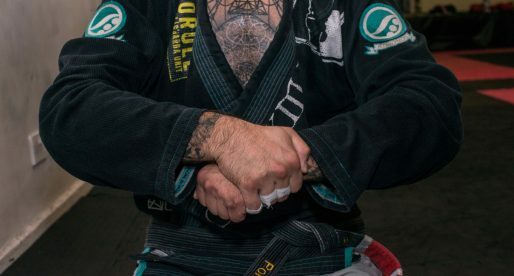 The Reverse De La Riva Guard/Hook, also known as Spiral Guard and often (wrongly) named Inverted De La Riva, is a grappling position whose development is often attributed to a legendary Brazilian jiu jitsu competitor by the name of Caio Terra in the early 2000’s. The position’s name derives from the famous De La Riva hook, though it was originally created as an option for the Half Guard, to avoid both the knee slide and the pressure from the guard passer. The Reverse De La Riva is also commonly associated with the Kiss of the Dragon (Reverse Berimbolo) back take. 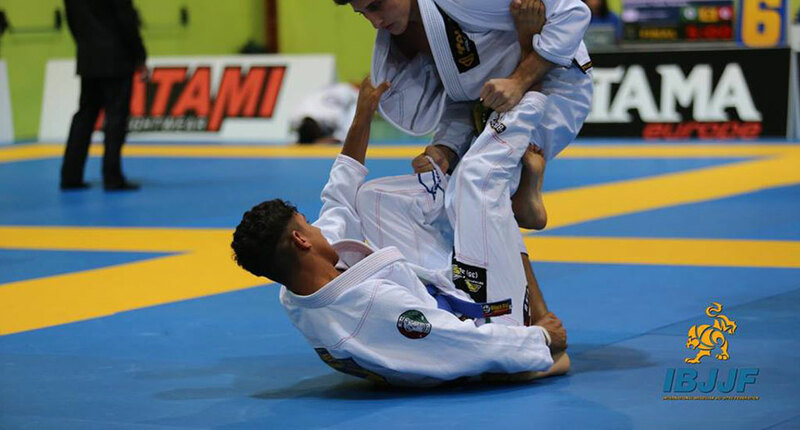 In jiu jitsu you consider a guard to be “Reverse De La Riva” when one of the competitors of a grappling match has his/her back towards the ground, while attempting to control his opponent using his/her open legs (assuming the role of guardeiro); one of those legs needs to be hooked inside and around the same contestant’s leg (i.e. guard player’s left leg hooking guard passer’s left leg), compromising the passer’s ability to force his weight and use his balance with the use of this hook. Much like in any grappling position, the origin of the Reverse De La Riva is not 100% certain, as grappling is one of the oldest sports known to mankind. The earliest we could find of the reverse DLR hook being put to use, was in old Kosen Judo tapes. Although the position was there, it was “only” being used as a protection mechanism against the knee slide guard pass, and seemed to lack the sophistication seen in modern day Brazilian jiu jitsu. At the highest level, the earliest we witnessed this maneuver being applied was 2003, by Mario Reis at the CBJJO World Jiu Jitsu Cup (see below). However it is believed that Caio Terra had been using the position prior to that event, in the lower belt divisions. When interviewed regarding the development of the Inverted De La Riva, Caio Terra explained that he started developing it due to one of his team mates who would often try to pass his Half Guard by lifting his knee from the ground, which would cause for Terra’s guard to lose its structure. 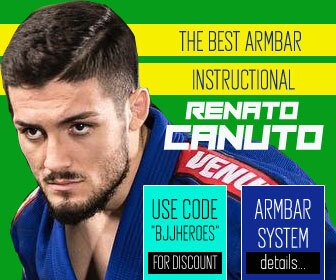 As a way to regain control of the distance, Caio started holding the shin of his partner with his outside arm first, soon realizing this was only limiting his own movement. Once he switched grips, he understood the potential of the position and started developing his own sweeps and set-ups from there. According to Terra, during that time, while competing in the Rio de Janeiro circuit, the position was called “Terra Guard”. 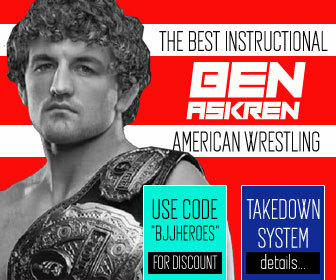 Attributing the fact that the name didn’t stick, to his blue belt rank at the time. As the years progressed, the position became associated with Rafael Mendes, two revered and highly accomplished grapplers, who used this guard numerous times in a competitive environment, popularizing the Reverse De La Riva Sweep to the Leg Drag combo. 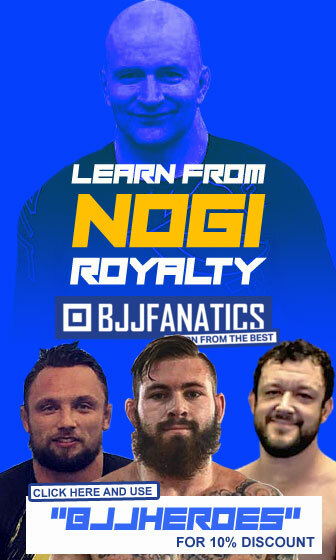 Banner picture taken from the IBJJF Official Facebook Page.